It's very important to communicate with parents when students are having difficulty with a skill. 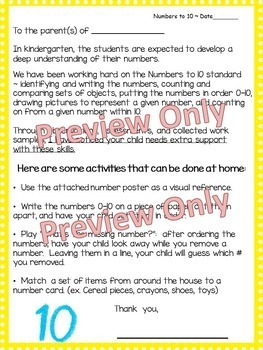 This kindergarten parent letter explains the Common Core Numbers to 10 math standards, expectations, observations and notes of concern, and lists activities or interventions that can be done at home. 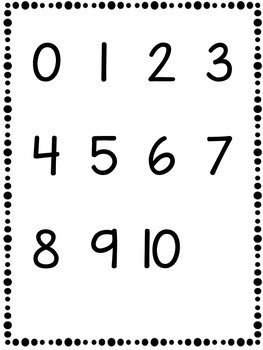 It is eye-catching (more likely to be read by the parents), and is bulleted for easy reading. 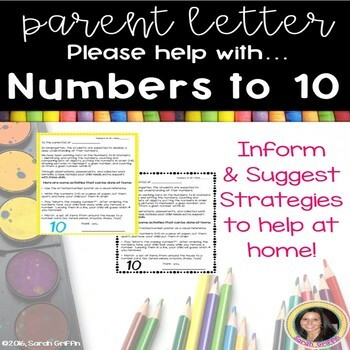 Simply print and keep on file, along with my other parent letters, and send home as an intervention strategy. 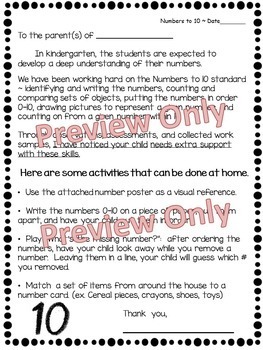 Copy/scan/save as proof for RTI meetings, evidence for teacher evaluations, conferences, etc. Follow me to get 50% off new resources the first 24 hours. Simply click the green star under my name at the top of the page.